One of the very first perfumes I ever bought for myself was actually a blind-buy (which, if you know me at all, is hardly surprising! 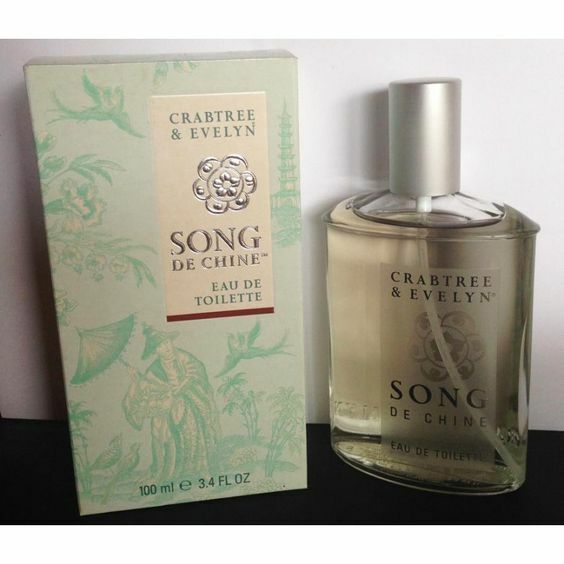 ), Crabtree & Evelyn’s Song de Chine. It is long-discontinued, and to be very honest, I don’t even remember why I bought it! The marketing blurb must have sounded very compelling to me, and I have to say that when it arrived in the mail, I was quite excited to give it a try. As luck would have it, I loved Song de Chine very much—it was a soft floral with tea and vaguely aquatic notes—and the thrill of the blind-buy has not left me since. 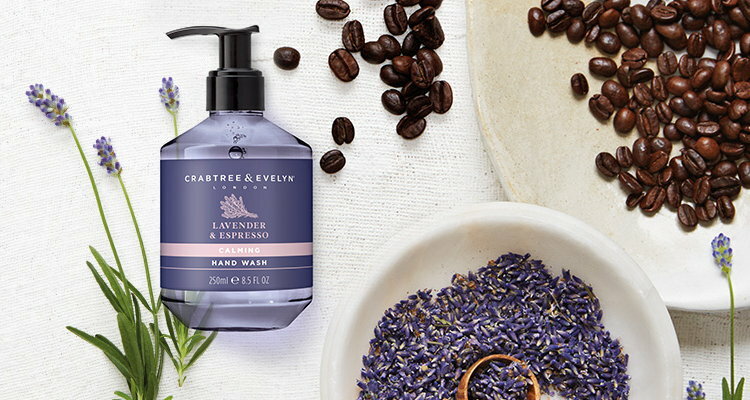 CRABTREE & EVELYN SONG DE CHINE SCENTED BATH AND BODY LINE marks the company’s first major launch since it was purchased by Malaysia-based Kuala Lumpur Kepong Berhad. 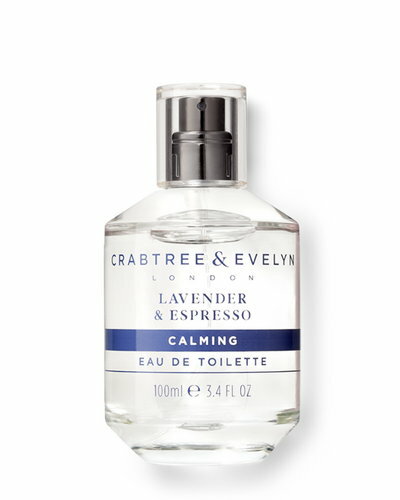 The five-SKU range, which Crabtree is promoting as the “essence of tranquillity,” is available now in Crabtree & Evelyn doors in the U.S. Crabtree & Evelyn Song de Chine bowed in the U.K. and Canada in June. I’m doing some perfume and makeup organizing at the moment and don’t particularly feel like tossing everything up in the air and digging around for my old bottle, but I found this photo online for the same item I had…I feel like I might have thrown out the box, which is sad as it’s kind of pretty, isn’t it? Inspired by Chinese gardens, Crabtree & Evelyn Song de Chine has an eclectic blend of florals and herbs like jasmine, mandarin, thyme and oolong tea—an exquisite example of the trend toward fragrances infused with the essence of exotic teas. Now, a little history on Crabtree & Evelyn. For some reason (I can’t imagine why…) they like to style their company name as Crabtree & Evelyn LONDON, so for the longest time I assumed it was a British company. Not so! They were actually founded in Massachusetts in 1955, and while the company has changed hands a few times since the founder, Cyrus Harvey, sold it to a Malaysian company in 1996, it has never been under British ownership. In 2016, Nan Hai Corp. purchased Crabtree & Evelyn from a fellow Hong Kong-based company, and in November 2018, it was announced that the Canadian division of Crabtree & Evelyn was declaring bankruptcy. All the stores in Canada are closing, and as of today, the shop by me in downtown Toronto had everything marked down, “up to 40%”. It’s sad for those in Canada who have enjoyed their products over the years—personally, I have only tried their Nail Lacquer recently, though they ended up discontinuing it after just a couple of years. But I did quickly pop in-store today, mostly to check out a new fragrance I’d heard about, Lavender & Espresso. I’ve been on a bit of a lavender binge lately (Histoires de Parfums’ 1725 has been a go-to of mine, lately, and I’ve loved spritzing on a bit of Lancôme’s Lavandes Trianon at night). So Lavender & Espresso sounded mightily intriguing to me, especially at 40% off! I did, however, end up buying a trio of Crabtree & Evelyn’s Hand Therapy creams in travel sizes. 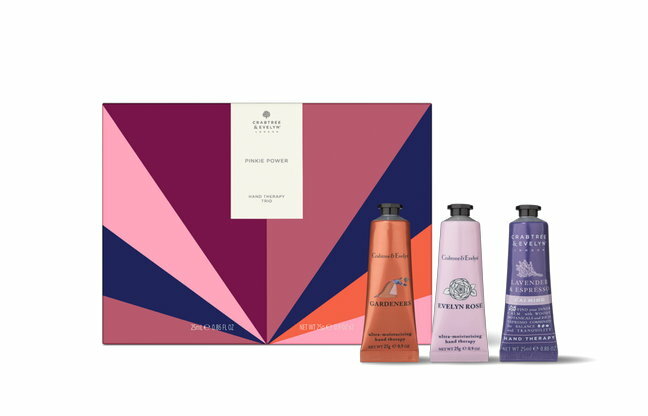 For the 2018 holidays, Crabtree & Evelyn have come out with some beautifully packaged gift sets, inspired by 1970s fashion and design. They’re very un-Crabtree & Evelyn, which always feels a little staid, and I had a hard time resisting the fun patterns and, of course, 40% off. Did you know they sell cookies and tea, as well? I had no idea. The tins are adorable! The Hand Therapy Trios come in a few different varieties; I picked up the one containing 3 × 25 mL tubes of Gardeners, Evelyn Rose (a scent I’ve been wanting to try), and Lavender & Espresso Hand Therapy. 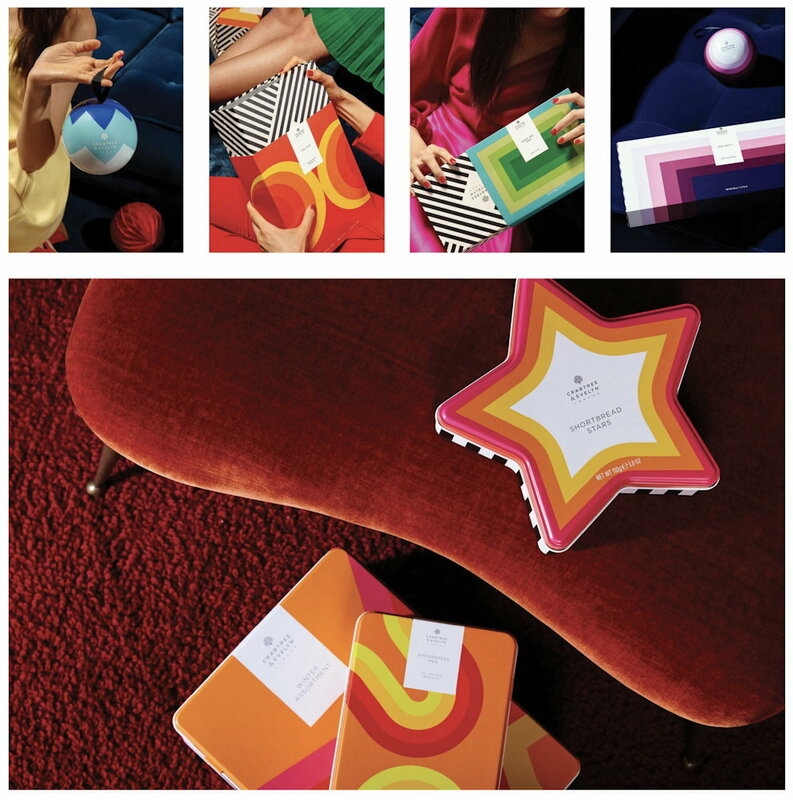 The packaging is lovely and perfect for gifting! Here’s hoping I can smell the Lavender & Espresso a bit better in lotion form! I’m disappointed to see Crabtree & Evelyn exit Canada, but on the other hand, I’ve always found their products—the lovely Nail Lacquers being the main exception—a bit overpriced. We have a lot of other bath and body options, many more interesting and better marketed, and it seems they just couldn’t quite compete well enough. In some articles I’ve read, it seems that the company’s Connecticut-based factory is also shutting down, so I wonder what that means for the US and international stores, too. So long, Crabtree & Evelyn Canada. My hope is that you come back one day, revamped and smelling even better! A real shame about Crabtree and Evelyn… that’s probably why I’ve been seeing an over abundance of their products at Winners and Marshalls. This is a bit sad, they are quite the staple of gift shops everywhere in the US and the news in Canada does not bode well for us. But, on the other hand, I’ve only really been impressed with their nail polishes and have not got on with many of their scents. It’s sad they’re out of business in Canada. I didn’t know they had stand-alone stores. I guess this is part of the problem. They would have been better off with concessions in department stores and drugstores, as well as with a stronger online presence. Here in the UK, their products are sold in department stores which works out fine for them, I think. And I agree, their products are overpriced. I would actually be interested in picking up a few of their products, but I haven’t bought a single Crabtree & Evelyn product, and that’s only because they’re too expensive. Ah well, still sad to see they’re no more in Canada. I do hope they’re doing better elsewhere, and who knows, they might come back to Canada at some point. Fingers crossed!